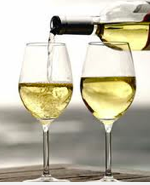 Italy Archives - Write for Wine: It's Wine O'Clock Somewhere!Write for Wine: It's Wine O'Clock Somewhere! The wining-and-dining experience at Tulalip Resort Casino is an explosion of aromas and tastes. There is something for everybody, whether you visit the sumptuous, award-winning Tulalip Bay, the mouth-watering Journeys East, or the more casual Canoes Carvery and The Draft Sports Bar. There are even more options: Blackfish, Cedars Cafe, Eagles Buffet and Blazing Paddles. On our recent 24-hour visit to Tulalip Resort, we had the fortune of experiencing four restaurants and Oktoberfest. On all stops, the staff couldn’t do enough to make our time there memorable. Customer service is an art form at Tulalip Resort. It’s that time of year when the calendar calls it spring but the cold nights make it seem like it is still winter. This means it’s a perfect time for winter reds that also drink well during spring weather. Thanks to Kobrand, we received samples of wines that fit both seasons. You might not have heard of all of them, but don’t let that stop you. 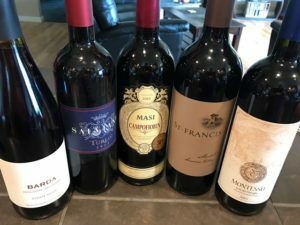 These are good wines! BARDA is a beautiful, balanced, smooth and 100% certified organic Pinot Noir from Argentina. This medium-bodied wine features red fruits, vanilla and spice. It’s also very food-friendly, which means you can try it with pasta, roast beef or salmon. 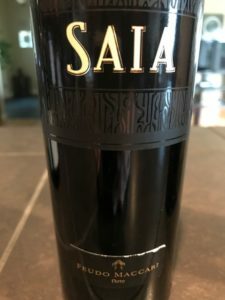 This Italian beauty is primarily made from Carignano, a Spanish variety found in Sardinia, and blended with 10% each of Merlot, Syrah, Cabernet Franc and Cabernet Sauvignon. Rich, silky, and intense depth with flavors of black fruit and hints of caramel, consider pairing it with tomato-based pasta dishes, lamb or pork. The Reserve Sonoma Valley Merlot is rich and velvety with lush texture and flavors of blackberry, dark chocolate, spice and cassis. This wine will pair well with steaks or other meat dishes — on cooler nights, crisp spring evenings, or at summer barbecues — and you can also try it with dark chocolate brownies for dessert. This easy-drinking, good-value wine features tart black cherry, licorice and dark chocolate on the palate, with vanilla, cinnamon and spice notes. Its versatility means it will complement lasagna and other pastas with rich sauces, beef dishes, and mature cheeses. A blend of Sangiovese, Cabernet Sauvignon and Merlot, this full-bodied wine is the described as the Umbrian answer to the Super Tuscans. A great value for all this richness in a hearty wine, which will pair well with pizza, grilled meats, risotto or hard cheeses. So what are you waiting for? We recommend that you give these wines a try! 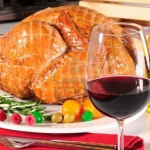 Wondering what wines to pour over the Thanksgiving holiday? A special bottle to take to a family dinner or an evening with good friends? Below are some wines that were sent to us to sample in time for the holidays. Thank you to the wineries who shared their bounty! We think all of these wines would pair well with different courses of a Thanksgiving feast. Nero D’Avola is a perfect pairing for the main course, whether you go with traditional turkey, holiday roast or even rack of venison. Or before the meal, you could also serve it with a charcuterie board of smoked meats, cheeses, olives and dried fruits. The wine opens up with aromas of espresso and black plum, followed by juicy ripe cherry, sweet spices and a long finish. Simply lovely. Be sure to decant it for a few hours before serving. This vintage received a score of 90 by Wine Spectator and Wine Enthusiast. Nero D’Avola is the most widely planted grape in Sicily. This delightful medium-bodied Oregon Pinot Noir features spicy, earthy notes, along with Thanksgiving flavors of cranberry, tart cherry and savory pumpkin. 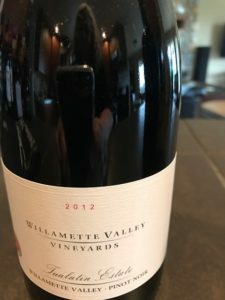 Sourced from old vines in the Willamette Valley, this is one powerful wine that will pair well with any mushroom-based side dishes or butternut squash. We love the minerality of this Pinot Blanc, which has a beautiful nose of pears, oranges and other citrus notes. We would typically enjoy this as a summer sipper on the deck, but we also think this would go well with your Thanksgiving salad or even with turkey and stuffing, if you prefer white wine. 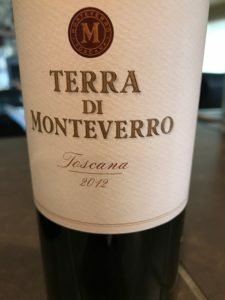 Another wine from Italy caught our attention, because we first experienced wines from Monteverro in August. This full-bodied beauty blends Cabernet Sauvignon (50%) with Cabernet Franc (30%), Merlot (15%) and 5% of Petit Verdot to round out the flavors. Dark ruby in color, the wine opens with black cherry and cassis, with a bit of spice and fresh ripe fruit on the palate. If your main course is steak or roast beef instead of turkey this year, this Bordeaux blend is for you. Wine Spectator gave this wine 90 points. Enjoy your holiday feast – and have a wonderful, safe Thanksgiving with your family and friends.